Last Week Tonight host and sport fanatic John Oliver seems to have appointed himself as America’s tireless watchdog over FIFA, the governing body that controls his beloved World Cup. 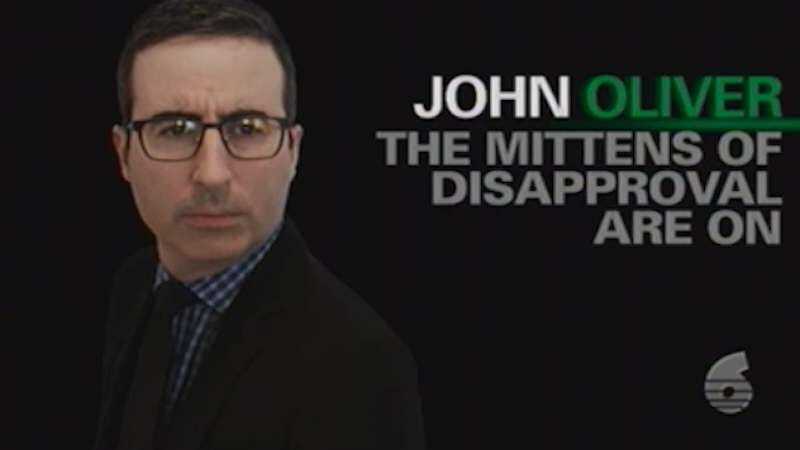 Besides devoting two separate segments of his HBO show to the associations’s alleged corruption, Oliver previously made the “ultimate sacrifice” in his passion for the subject: chugging the “Jolly Green Giant ejaculate” of a Bud Light Lime as a result of a promise he made about FIFA president Sepp Blatter stepping down. Now, Oliver has put his money where his taste buds used to be, purchasing time on Trinidad and Tobago’s TV 6 for a pre-recorded message. He picked the channel because it’s where Trinidadian politician and former FIFA vice-president Jack Warner—recently indicted on racketeering charges by the U.S. Department of Justice—made statements the previous week threatening to release documents demonstrating the organization’s sins. Oliver’s video will be familiar to regular Last Week Tonight watchers, combining as it does comically lobbed vitriol, pomposity-puncturing self-depreciation, and a heaping helping of righteous ire. Between attempts at mastering Trinidadian slang, Oliver begs Warner to not give the world “blue balls” by withholding the promised documents, and invites him to join his sons in speaking out against the organization. “Snitches get smooches,” he promises, because he’s John Oliver, and he cares more about soccer than regular human beings care about anything on this Earth.